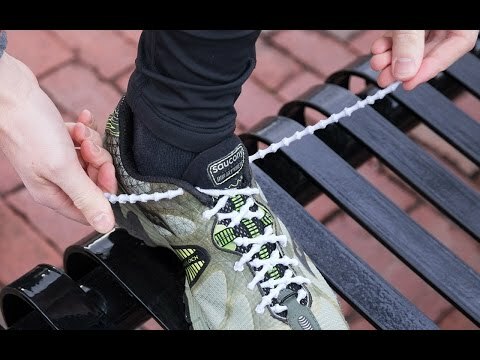 XTENEX ACCUFIT Laces turn any lace-up shoe into one that easily slips on and off. Customize the fit with more room in some areas and more tension in others. The flexible knots hold each section in place, yet allow the laces to stretch as needed. Dimensions (in packaging): 3" x 6.2" x 1"
Perfect for athletic endeavors, ergonomic support, and even for shoes that are too snug with regular laces, this new way of lacing up will happily bring you to your feet.